Penguins are a group of aquatic, flightless birds. 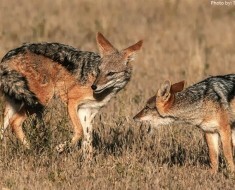 biodiversity varies between 17 and 20 living species. They live almost exclusively in the Southern Hemisphere, with only one species, the Galapagos penguin, found north of the equator. They actually occupy habitats which are located on each of the five continents within the southern hemisphere. The habitat for penguins is going to depend on the species you are talking about. Some of them are able to live in the coldest parts of the world. Others live very close to the equator where it is quite warm. Penguin lifespan ranges from 6 to 27 years, varying from species to species; But most species has lifespan from 15 to 20 years. The largest penguin species is the the emperor penguin (Aptenodytes forsteri) reaching 122 centimeters (48 inches) in height and weighing from 22 to 45 kilogram (49 to 99 pounds). 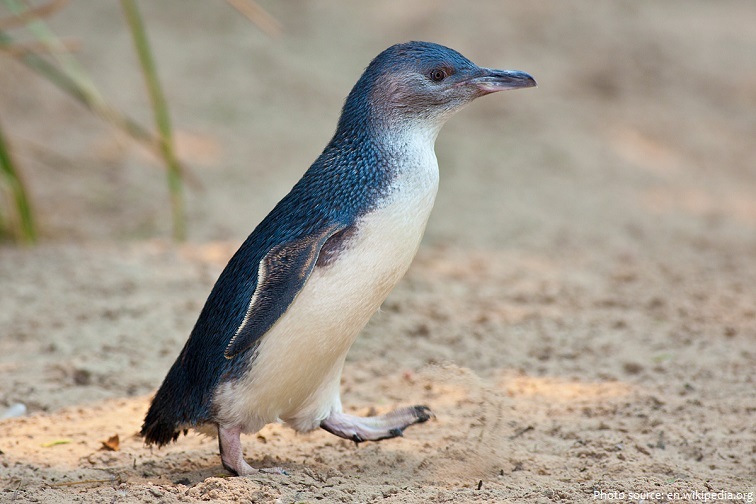 The smallest penguin species is the little blue penguin (Eudyptula minor), also known as the fairy penguin, which stands around 40 cm (16 in) tall and weighs about 1.5 kilogram (3.3 pounds) on average. 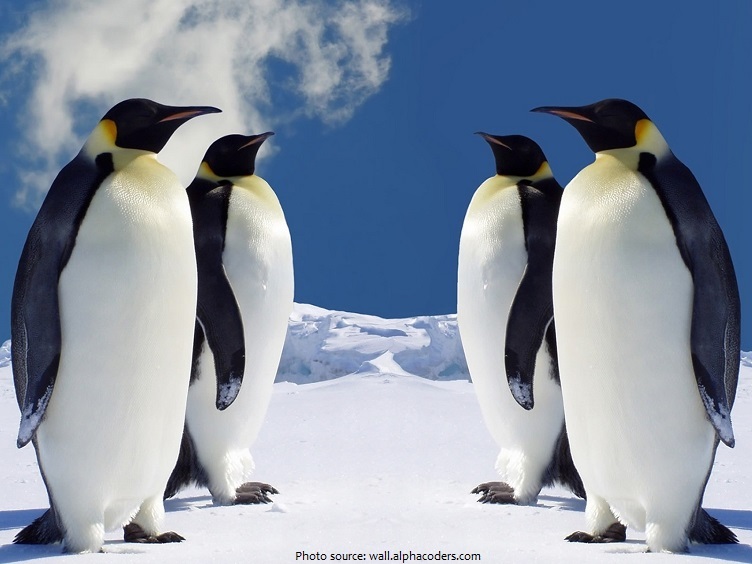 All penguins have to live close to a body of water where they can hunt for food. Penguins are carnivores. They generally eat fish, squid and krill, though their diet depends on the species. Generally, penguins living close to the equator eat more fish, while penguins in arctic climates rely on squid and krill for sustenance. They spend about 75% of their life in the water. Their wings have evolved into flippers, allowing the bird to swim underwater with amazing speed. Penguins’ swimming looks very similar to bird’s flight in the air. 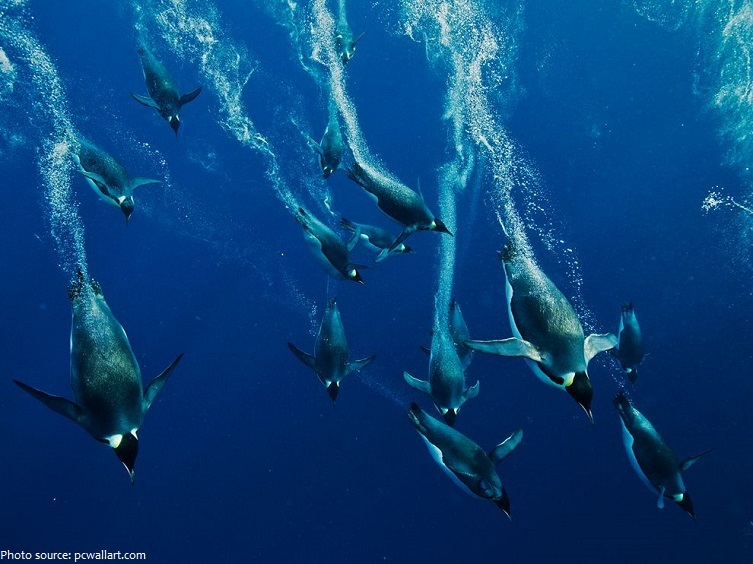 Penguins can dive further and swim faster than any other bird. Most penguins swim underwater at around 7 to 11 kilometers (4 to 7 miles) per hour, but the fastest penguin – the gentoo (Pygoscelis papua) – can reach top speeds of 35 kilometers (22 miles) per hour! They can walk between 2.7 km/h (1.7 mph) and 3.8 km/h (2.4 mph). Penguins are not able to breathe underwater; however, all of the penguin species can hold their breath for as long as 15 minutes. 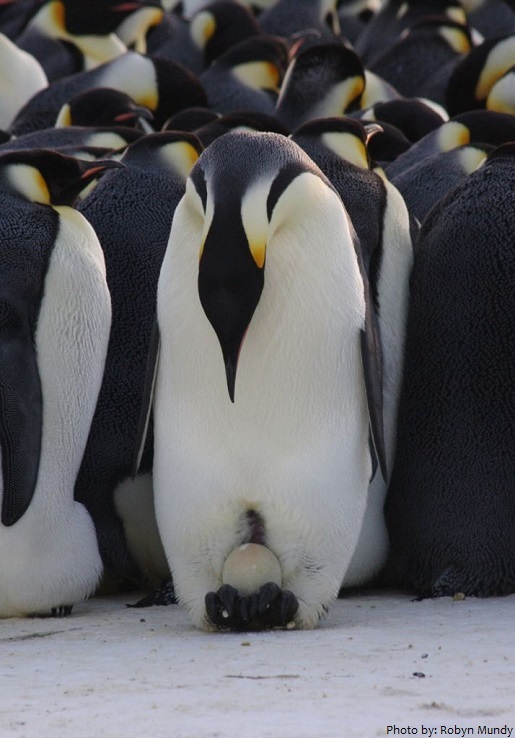 Emperor penguins are the undisputed champions of diving in the world of penguins. They can travel more than 500 meters (1,640 feet) below the surface, and stay submerged for more than 20 minutes, even though by all accounts their oxygen should run out in just a fraction of that. A penguin’s eyes are adapted to see clearly both in air and under water. Penguins have color vision and are sensitive to violet, blue, and green wavelengths of light and possibly to ultraviolet light as well. 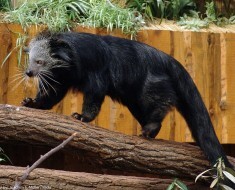 It is also believed that they have good sense of smell. At sea penguins must drink salt water and they are able to do this because they have special glands abound the eye sockets that extract excess salt from the blood. The excess salt is excreted as a salty fluid through the nasal passages. Another adaptive gland — the oil (also called preen) gland — produces waterproofing oil. Penguins spread this across their feathers to insulate their bodies and reduce friction when they glide through the water. Unlike most birds – which lose and replace a few feathers at a time – penguins molt all at once, spending two or three weeks land-bound as they undergo what is called the catastrophic molt. Penguins usually lie down or stand up when sleeping on land, whereas they float when resting in the water. 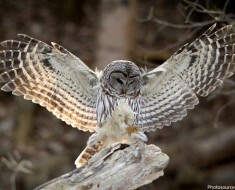 They often tuck their heads below their wings when they sleep in a standing position. Penguins can control the blood flow to their extremities in order to reduce the amount of blood that gets cold, but still keeping the extremities from freezing. Penguins are highly social birds. 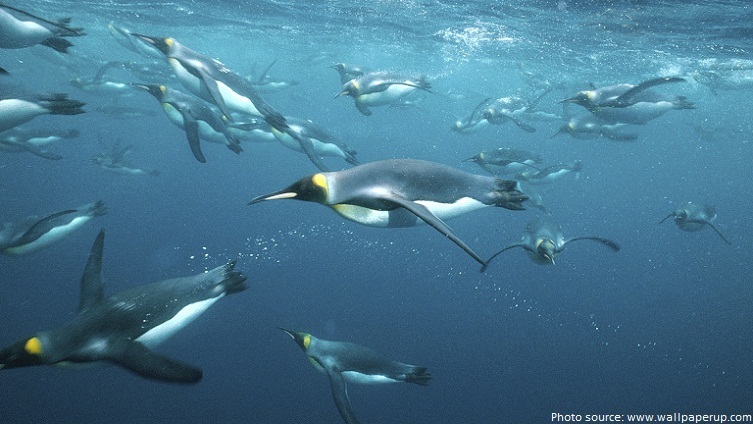 Even at sea, penguins usually swim and feed in groups. Penguins for the most part breed in large colonies, the exceptions being the yellow-eyed and Fiordland species; these colonies may range in size from as few as a 100 pairs for gentoo penguins, to several hundred thousand in the case of king [photo below], macaroni and chinstrap penguins. Penguins form monogamous pairs for a breeding season, though the rate the same pair recouples varies drastically. Most penguins lay two eggs in a clutch, although the two largest species, the emperor and the king penguins, lay only one. 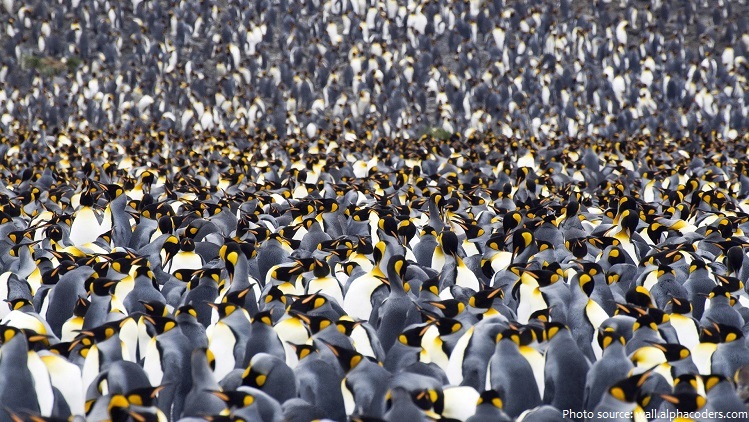 With the exception of the emperor penguin, where the male does it all, all penguins share the incubation duties. 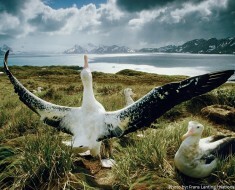 These incubation shifts can last days and even weeks as one member of the pair feeds at sea. The incubation period varies with species. 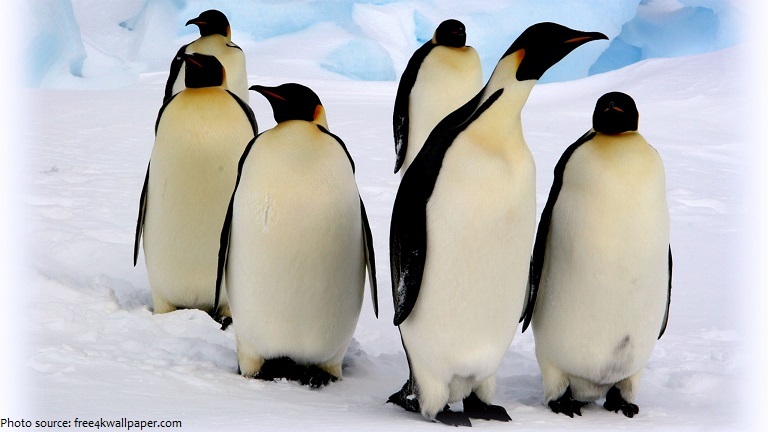 It may be as short as one month, as in the erect-crested penguins, or as long as 62 to 66 days for emperor penguins. 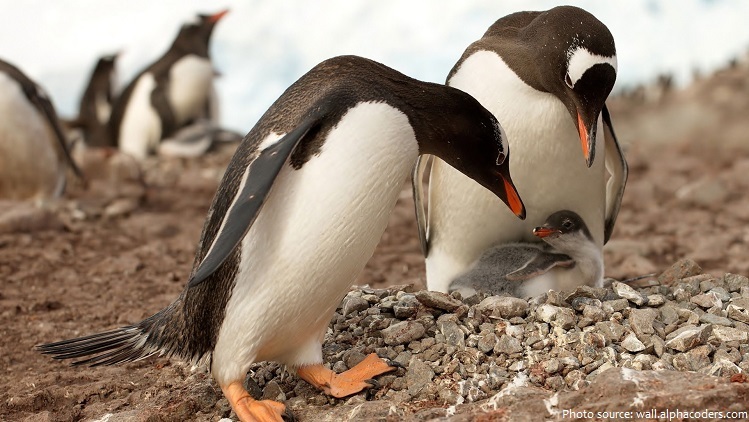 When penguin chicks are ready to hatch, they use their beaks to break through the shell of their eggs. This process can take up to three days. A chick depends on its parents for survival between hatching and the growth of its waterproof feathers before it can fledge (leave the colony to go forage at sea.) 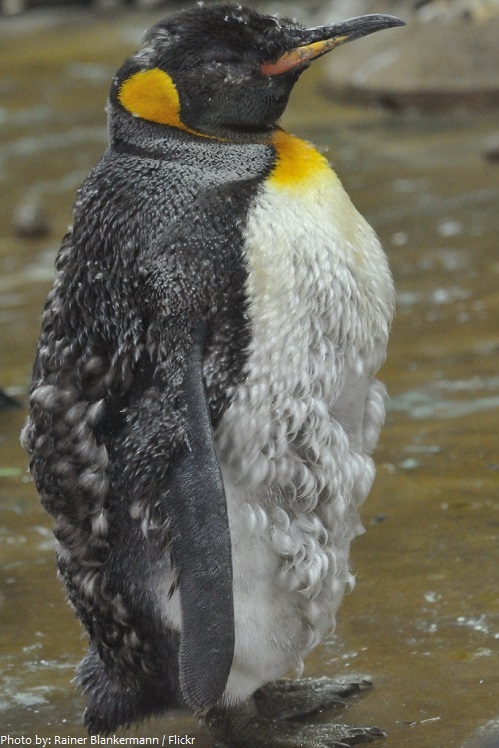 This period may range from seven to nine weeks for Adélie chicks to 13 months for king penguin chicks. Penguin calls (vocalizations) are individually identifiable, allowing mates to recognize each other and also their chick. This is important because members of a large colony of penguins are nearly indistinguishable by sight. Approximately 1 in 50,000 (of most species) are born with brown rather than black plumage. 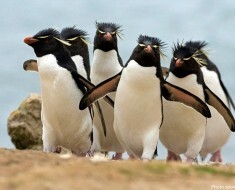 These are called isabelline penguins. Isabellinism is different from albinism. Isabelline penguins tend to live shorter lives than normal penguins, as they are not well-camouflaged against the deep, and are often passed over as mates. Land predators of the various penguin species include lizards, skuas, snakes, other birds and ferrets. 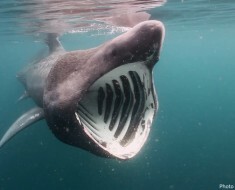 Water predators consist largely of killer whales, leopard seals and sharks. 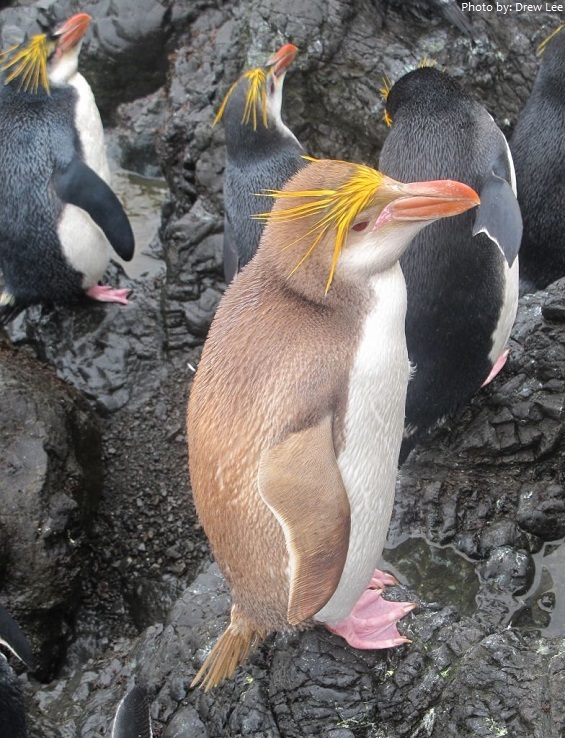 According to the Red List of Threatened Species from the International Union for Conservation of Nature, four penguin species are endangered: northern rockhopper, erect-crested, yellow-eyed, jackass and Galapagos penguins. Most of the other species of penguins are listed as vulnerable or threatened. The earliest known penguin fossil was found in 61.6 million-year old Antarctic rock, about 4-5 million years after the mass extinction that killed the dinosaurs. 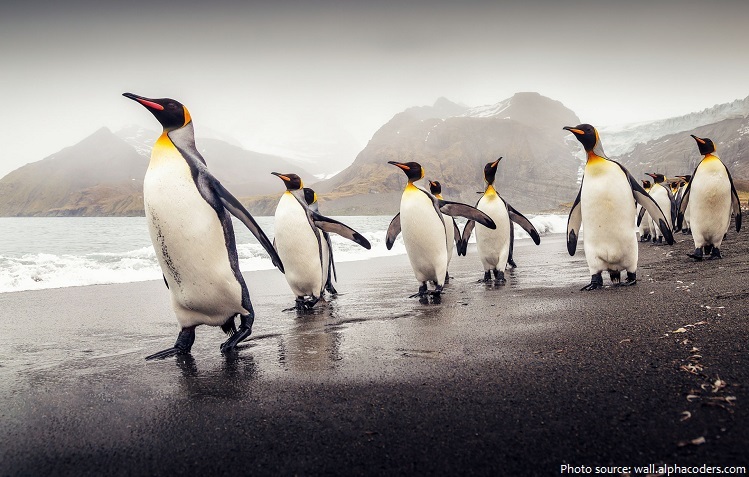 Penguins are popular around the world, primarily for their unusually upright, waddling gait and (compared to other birds) lack of fear of humans. Penguins have been the subject of many books and films, such as Happy Feet, Surf’s Up and The Penguins of Madagascar.